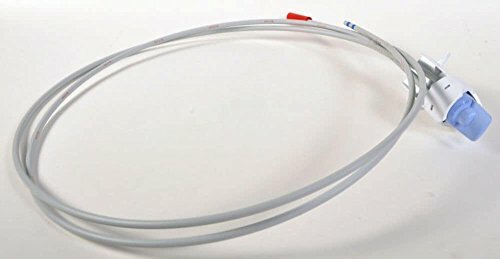 RWF0900A Compatible withMAYTAG------------UKF8001,UKF-8001P,UKF8001AXX,67003523,UKF9001, KITCHENAID--------------------67003526,67003591,67003727,67003527,67003528,12589203,12589206,12589208,12589210, KENMORE--------------46-9006,469006,46 9006,9006,46 9992 WHIRLPOOL--- ---------4396395 EveryDrop---------------EDR4RXD1;Filter 4 AQUA FRESH-------------WF295 SWIFT GREEN------------ SGF-M10【IMPORTANT】★Please Be Aware That This is A Compatible Spare Part, The Manufacturer`s Names, Part Numbers Have Been Used For Compatibility Information ONLY. 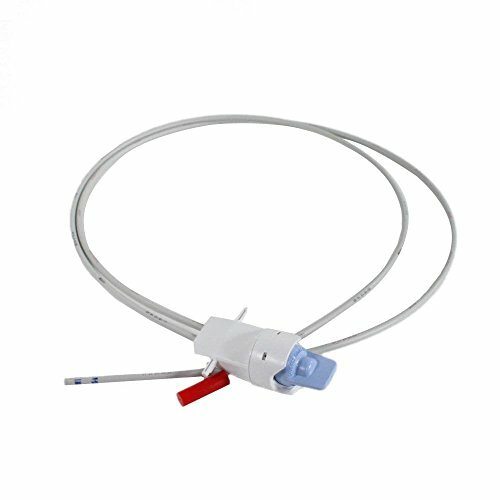 Operation SpecificationsOPERATING TEMP.----------------34-100℉ OPERATING PRESSURE----------------30-120psi FLOW RATE----------------------0.5-1 GPM FILTRATION LIFE----------------------------6 months/1500G •Depends on water quality and level of contaminants. 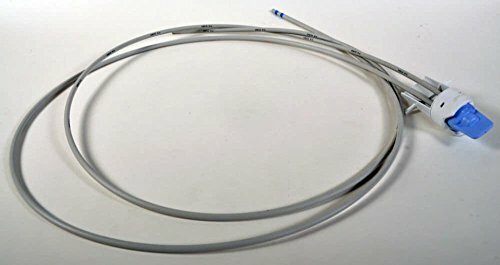 Easy Installation and Operation No tools required. *For detailed setup guideline, please refer to the installation instruction in the box. 100% 90-DAYS MANUFACTURE WARRANTY We are sure you'll enjoy the benefits of our product! We offer 90-day money back guarantee and a friendly customer service FAQ Please feel free to contact us,we will response within 24hrs or less. Genuine Original Equipment Manufacturer (OEM) parts! 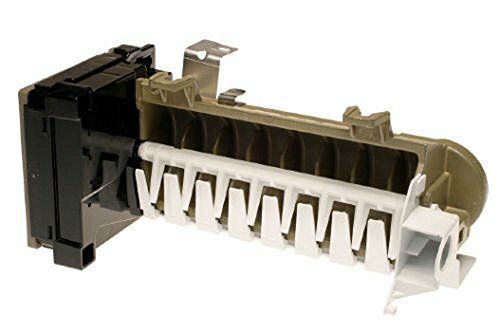 This manufacturer-approved water filter housing (part number WP12568001) is for refrigerators. Water filter housing WP12568001 holds the water filter and connects the water lines to the water filter. Safely store any food that could deteriorate while the power is off and unplug the refrigerator before installing this part. Wear work gloves to protect your hands. For Amana, Maytag, Jenn-Air, Whirlpool, Kenmore Elite, Kitchenaid, Kenmore, Dacor, Crosley, Gaggenau, Admiral, & Magic Chef. Genuine Original Equipment Manufacturer (OEM) parts! 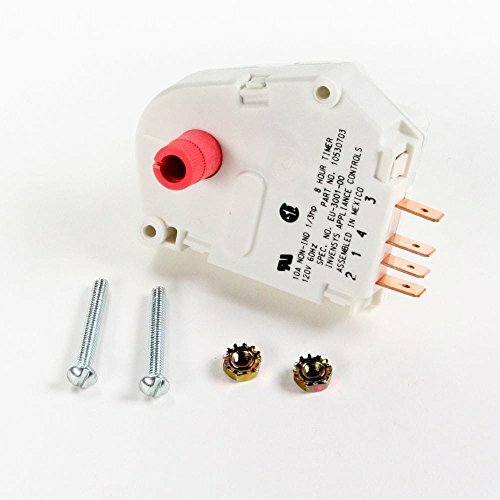 This manufacturer-approved defrost timer (part number R0131577) is for refrigerators. Defrost timer R0131577 manages the automatic defrost system in the freezer. Safely store any food that could deteriorate while the power is off. Unplug the refrigerator before installing this part. Wear work gloves to protect your hands. For Amana & Maytag. Genuine Original Equipment Manufacturer (OEM) parts! 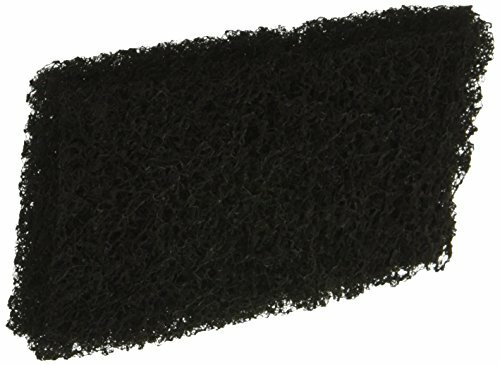 This manufacturer-approved air filter (part number 12488101) is for refrigerators. Air filter 12488101 removes odors and impurities from the refrigerator compartment. Follow the instructions in the owner's manual when replacing the air filter. Genuine Original Equipment Manufacturer (OEM) parts! This manufacturer-approved water filter head (part number WP67006524) is for refrigerators. Water filter head WP67006524 holds the water filter and connects the water lines to the water filter. Safely store any food that could deteriorate while the power is off and unplug the refrigerator before installing this part. Wear work gloves to protect your hands. For Amana, Maytag, Jenn-Air, Whirlpool, Kitchenaid, Kenmore Elite, Kenmore, Dacor, & Magic Chef. Genuine Original Equipment Manufacturer (OEM) parts! 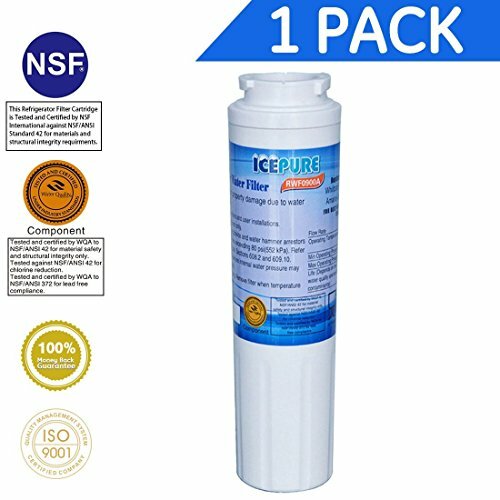 This manufacturer-approved water filter head (part number WP67001669) is for refrigerators. Water filter head WP67001669 holds the water filter and connects the water lines to the water filter. Safely store any food that could deteriorate while the power is off and unplug the refrigerator before installing this part. Wear work gloves to protect your hands. For Amana, Kenmore, Jenn-Air, & Kenmore Elite. Genuine Original Equipment Manufacturer (OEM) parts! 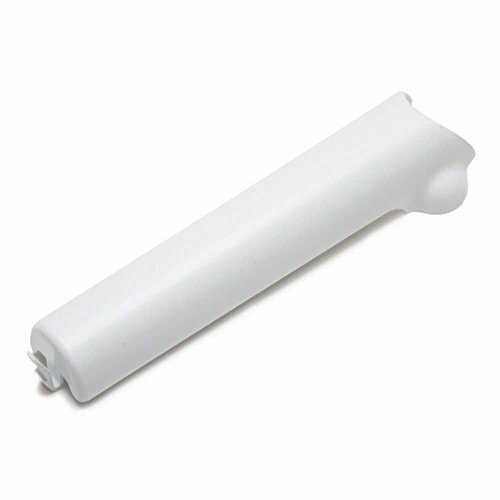 This manufacturer-approved water filter head (part number WP67004106) is for refrigerators. Water filter head WP67004106 holds the water filter and connects the water lines to the water filter. Safely store any food that could deteriorate while the power is off and unplug the refrigerator before installing this part. Wear work gloves to protect your hands. For Amana, Maytag, Jenn-Air, Crosley, Kenmore, Kenmore Elite, & Admiral. 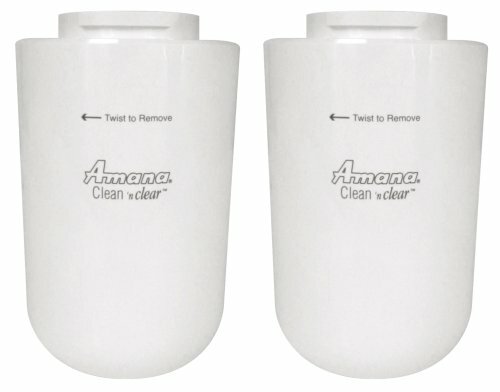 Copyright © Wholesalion.com 2019 - The Best Prices On Amana Refrigerator Filter Online.